Missing Zack Snyder's Man Of Steel in the cinema has at least allowed me a few short months of time to get excited about the Batman Vs Superman film. Now having caught up, the excitement is at an end; there is no way I can see that film being any good under Snyder's stewardship, because this one is unspeakably awful. A fairly unembellished remake of Richard Lester/Richard Donner's Superman II, perhaps Man Of Steel and Snyder's greatest crimes are that they have not learnt the myriad lessons afforded them by, amongst others; this film's producer, Chris Nolan, by Marvel's gamut of successful franchises and by past poor DC efforts. Snyder ignores Nolan's lesson of careful build-up, which worked so well in his first Batman effort, Batman Begins. Instead we're straight into a messy segment on Krypton, where the director wastes time trying to get us to care for an AI and, most confusingly, a flying Avatar-like beast that comes to save Jor-El (Russell Crowe). Gigantic ships and lasers crash everywhere, before we've been told who these people are and why we should care. General Zod (Michael Shannon), so terrifyingly stoic under Terrence Stamp's stewardship, is a whisker away from being characterised as an eco-terrorist. Marvel, by contrast, have spent several entire films telling us why we should care about the riskily anonymous space stuff. Snyder spends twenty minutes. Spectacular opening Snyder clearly wanted as his arrival notice finished with, we're into the promisingly dirty New England-like Earth segments that had people cooing about Snyder's 'Malick-ness' when discussing the early trailers. In the reality of the film there's nothing Malickian about them whatsoever. Snyder pivots his camera and story around these segments like a wildly swinging ship boom, spasmodically jumping between events with the same fervour as his camera waves around. If the aim was to ground us in something recognisable then he fails; the stories told here feel too detached, the camera too nausea-inducing, Clark (Henry Cavill) too anonymous. 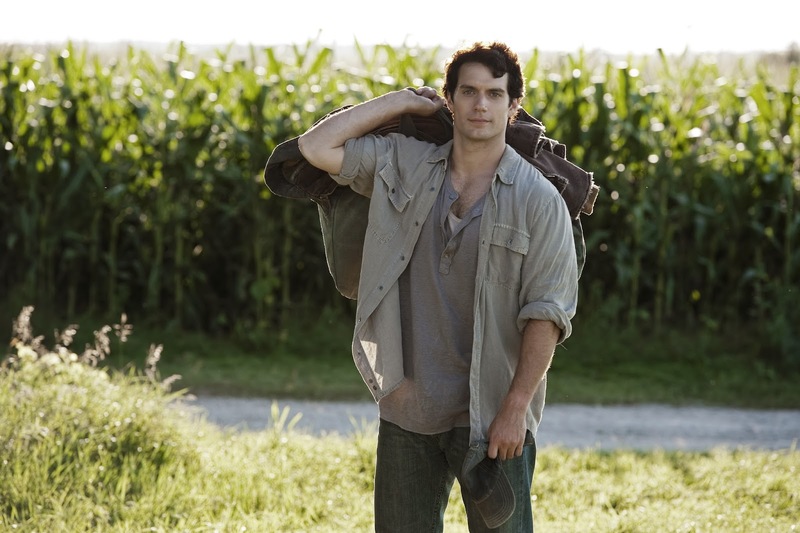 You don't find out exactly why he's wandering around the place until much later on in the film and Snyder hardly finds the time to stop and give you something of his character; take it as a given, the director seems to think, that this is Superman and you should love him. Films, good ones at least, don't work like that. It's endemic of the fact that Man Of Steel is a film lacking not just in executional skill, but also in patience. By the time the crashingly dull final fight arrives there's something else important it becomes abundantly clear Snyder hasn't or isn't bothered with. Metropolis should be just that: a bustling city, full of citizens that needed to be saved, a place we care about, Clark's home. It's none of those things. Rather, it's an empty and anonymous concrete shell we hardly ever see from ground level, which may as well be levelled for all we care. Snyder needed to spend as much time crafting this city as he did on Krypton but because there were no ships with lasers here originally, he spends none. For the second time in one of this Summer's blockbusters too (Pacific Rim being the other), the CGI visuals were suspect at best, a mess at worst. Particularly when dealing with humans doing extraordinary things (Supes on the oil rig, the final fights), they struggle, look sub-videogame and artificial. Perhaps that was intended to fit in with the rest of the film. Man Of Steel is out on UK Blu-ray and DVD on Monday 2nd December. "Rather, it's an empty and anonymous concrete shell we hardly ever see from ground level, which may as well be levelled for all we care." Interesting and accurate observation. There was so much talk (in America, anyway) about the finale being a 9/11 allegory and whether or not we should consider that insulting that its flaws in simple storytelling sort of got glossed over. I kind of remember articles about 9/11 around the time it was released but there were obviously less here - by the time it got to that point it had really lost me, so I can't say it called that (or much else) to mind. I was pretty shocked at how little of the city we see.